On Thursday, Aug. 2, 2018, 10 youth from our community graduated from the Police Youth Leadership Council, making 112 youth who have completed the program over the seven years. Polk County Deputy County Manager Joe Hallman along with Winter Haven City Manager Mike Herr, Winter Haven Mayor Brad Danzler, Commissioners JP Powell and William Twyford joined family, friends and agency members in the ceremony that took place at the Police Department. 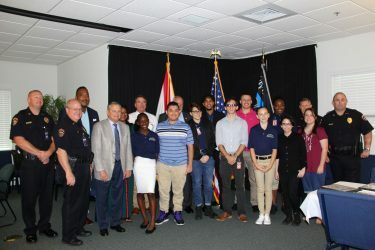 The Winter Haven Police Youth Leadership Council is designed to bring area youth together with law enforcement to expose them to everything about the judicial system as a whole. The program is not “grade” based, but applicants must not have disciplinary issues at school and they must have a recommendation by the school resource officer and the principal of their school. 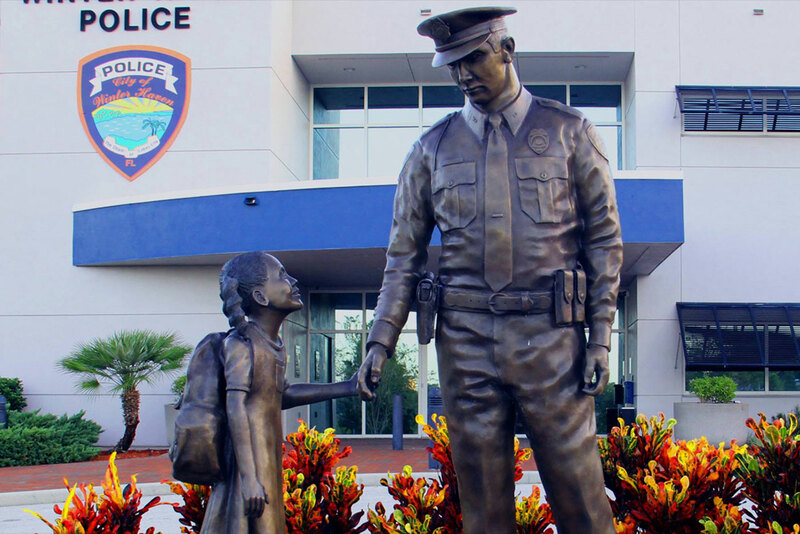 The program not only teaches valuable lessons on law enforcement, the many careers in law enforcement and the judicial system, but most important it teaches leadership skills. Everything from dressing appropriately, speaking in front of others and teamwork to respecting not only adults, but to respect everyone even though we all have differences. We instill public service, whether as a career or volunteering and the importance of giving back to the community you call home. The activities they participated in involved all aspects of the Police Department (crime scene, traffic, detectives, property and evidence, code compliance, records as well as patrol) along with visiting the jail, booking facility, attending a juvenile first appearance session (approximately 2 hours) and touring the 9-1-1 center. They also participated in scenario-based training where they were played the roll of the officer and our members played the bad guys, did shoot-don’t-shoot simulations and did a mandatory ride along with our officers.